Dr. Sarala Balachandran assumed charge as the Project Director of OSDD in April 2014. Dr. Balachandran, Chief Scientist, CSIR, specializes in drug discovery and development and has extensive research experience in academics and pharmaceutical industry in India, Europe and the US in oncology, inflammation, metabolic disorders and anti-infectives. Dr. Balachandran in the past has served as Senior Group Leader of the New Drug Discovery Research division at Ranbaxy Research Laboratories, Gurgaon and as Assistant director at Piramal Life Sciences, Mumbai, before joining CSIR Head Quarters at New Delhi as Chief Scientist in 2011. Dr. Balachandran has been instrumental in leading close collaborative projects with multinationals like GSK and Merck while working in Ranbaxy Research Laboratories and Piramal Life Sciences. 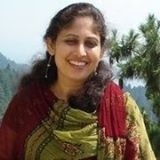 Dr. Sarala Balachandran holds a doctoral degree in Organic Chemistry working at CSIR-CDRI and CSIR-CIMAP, Lucknow and a post doctoral degree from Cambridge University, England, where she worked in the area of biosynthesis and synthesis of vitamin B12 with Sir Alan (Prof Alan Battersby). She has also worked extensively in the area of synthesis of paclitaxel analogs at Institute Armand Frappier, Canada and Virginia Tech, US. Dr. Balachandran has about 40 publications and patents to her credit.